The Kent MBA provides students with the knowledge and skills to become transformational leaders with innovative mindsets, who understand and can embed responsible management for the advancement of local and global communities. Fast-track your career by choosing Kent Business School’s AMBA and CMI accredited MBA programme. As a student of the Kent MBA, you are encouraged to think, question and find solutions alongside academic staff, organisations and fellow students. The Kent MBA programme builds upon three pillars; Observe, create and practice. The Kent MBA will allow you to understand organisations and the context in which they operate (observe), help you to re-interpret these organisational frameworks (create), and consolidate and apply this acquired knowledge to your own organisation (practice). Throughout the programme you engage with organisations; small, medium and large, regional to multinational, to test theories immediately in real-world situations. You will connect with strategic thinkers with commercial flair and global perspectives. The connections you make during this time will be with you for life. As a student on The Kent MBA, you also have the opportunity to gain the Chartered Management Institute’s (CMI) Level 7 Diploma in Strategic Management and Leadership alongside your degree. Our MBA is based on our Canterbury campus. It is designed so that full-time and part-time students can study together and learn from each other. The course brings together creative minds and experienced managers who are keen to make a difference. Our intimate class size offers an environment fostering discussion and networking, led by internationally recognised scholars from around the world and by our network of successful and innovative practitioners. You can develop an entrepreneurial outlook, an international perspective as well as a commitment to responsible management. You will also benefit from a range of value-added experiences, such as master classes and opportunities to study a language. Kent Business School has joined forces with the Chartered Management Institute (CMI) to give you the opportunity to gain, alongside the Kent MBA, the CMI Level 7 Diploma in Strategic Management & Leadership on the successful completion of your studies. The CMI is committed to excellence in management and leadership. The CMI qualification is highly sought after by employers. 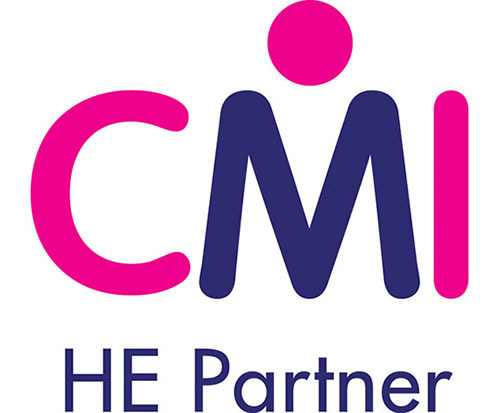 Students benefit from access to Management Direct and the CMI mentoring scheme. AMBA represents the highest standard of achievement in postgraduate business education and is awarded to only the best MBA programmes into works. Employers recognise it as an assurance of global quality. The Senior Leader apprenticeship is underpinned by The Kent MBA. The apprenticeship standard has been developed by a group of employers and approved by the government to ensure that apprenticeships are delivered and assessed consistently. It outlines the skills, knowledge and behaviours required of the apprentice. To be eligible for the Senior Leadership Apprenticeship, it is expected that you have management responsibility, which includes formal governance/director responsibilities, and you are responsible for direction and vision, providing a clear sense of purpose and driving strategic intent. Operating as an inclusive leader, you are responsible for developing ethical, innovative and supportive cultures with the ability to deliver results. Each apprenticeship is tailored to the needs of you (the apprentice) and your employer. MBA Briefings are held regularly. We personalise the information you receive about the Kent MBA and how it may impact your career and indeed your life. We also give you advice on gaining ‘buy in’ from your employer. All briefing sessions are held at Kent Business School, Canterbury campus. If you are interested in attending an MBA Briefing, please let us know. View dates and register. You can also arrange a personal meeting with the MBA Programme Director, Professor Thanos Papadopoulos. 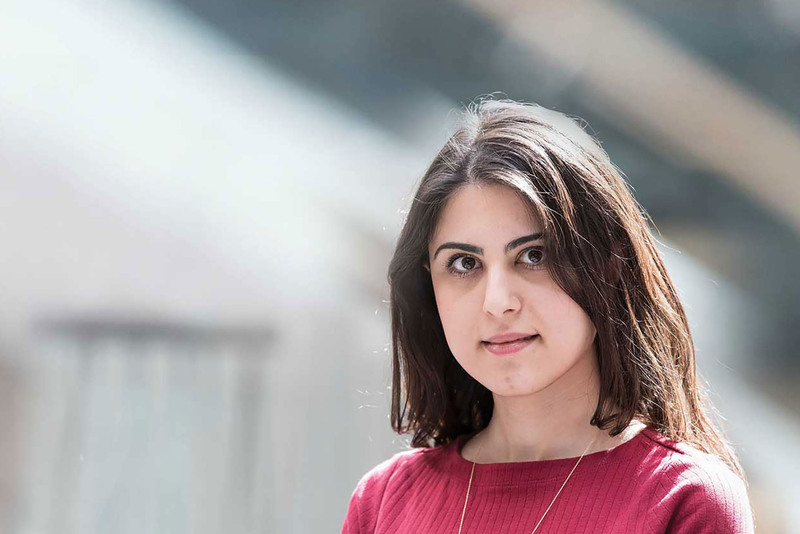 The Business School has a wide range of funding opportunities for postgraduate students, which include Scholarships, Bursaries, and the KBS Early Bird Scheme. The Early Bird equates to a 10% discount on tuition fees. For more information on funding available from the University of Kent, please visit the Student Funding page. With over 25 years’ experience delivering business education, Kent Business School is ranked as a top 30 UK business school, both for the standard of our teaching and student satisfaction. Our portfolio of postgraduate programmes demonstrates the breadth and depth of our expertise. Academic research and links with global business inform our teaching, ensuring a curriculum that is relevant and current. We also hold a number of accreditations by professional bodies. Studying at Kent Business School (KBS) gives you the opportunity to increase your employability with real-life case studies, a student council and a business society. We have strong links to local and national organisations providing opportunities for projects, internships and graduate placements. The School attracts many high-profile speakers from industry and last year included visits and lectures from staff of the Bank of England, BAE Systems, Barclays, Lloyds Insurance, Cummins, Delphi and Kent County Council. The School currently has around 60 PhD students, who form a dynamic and close-knit research community. In the Research Excellence Framework (REF) 2014, we were placed 25th (out of 101 institutions) in the UK for research intensity in business and management studies and 98% of our research was judged to be of international quality. The School’s environment was judged to be conducive to supporting the development of research of international excellence. The School was also ranked 24th for its breadth and depth of research across the whole community of research active staff by the Association of Business Schools. The Kent MBA can be studied in one year of full-time study, or part-time over two to three years. As a part-time student you join current full-time students on week long programme modules. The course structure below provides a sample of the modules available for this programme. The objective of this module is for participants to understand the nature of effective leadership in the context of a complex and dynamic organisational environment. Participants will acquire the practical, communication and negotiation skills that they need to become effective leaders. They will engage in several negotiation exercises, which will serve as common touchstones toward understanding the negotiation process. Effective leadership is also about understanding what motivates and inspires people to perform at their best. Thus, participants will critically evaluate alternative HRM approaches to unleashing the productive potential of employees for superior organisational performance and to managing organisational change effectively. This module adopts the perspective of studying Corporate Social Responsibility (CSR) and sustainability management within the context of corporate strategy. Using lectures, case study illustrations and content analysis, practice-oriented class exercises and group presentations, the module's learning and teaching objectives are intended to provide students with a broad range of technical and general skills areas. This module focuses on the nature and importance of business and management modelling in practice and looks at how to use modern quantitative techniques and tools to analyse managerial problems. - Analysing complex decisions: How to determine optimal strategies in situations involving several decision alternatives. - The applications of suitable management science models for Marketing, Finance and Production management, among others. - Transportation and Networks Design: Transportation systems, Assignment problem, Shortest Route (e.g., ambulance service routing), Maximum Flow (e.g., shipping), Minimum Spanning Tree (computer/telephone networks). - Managing Complex Projects: Planning large projects, Resource scheduling, Cost scheduling. - Modelling waiting lines in practice (e.g., commercial/transportation service systems). Delivering Innovation is an exploration of the conception, creation and diffusion of new products and services within modern economies. It examines the many challenges faced by firms and others in the process and the solutions and management practices that have been developed to deal with potential innovation barriers. The module also explores the evolving nature of innovation itself and outlines how firms and others can benefit from new and different forms of emerging opportunity. The module will introduce various tools for conducting financial analyses that will support management decision-making. There will be emphasis on the relevance of each tool in the context of decision-making and assumed objectives. There will be emphasis given to discussions on the interpretations of outcomes, the complex interrelationships involved and the implications of an uncertain decision-making environment. Although further development of numerical competency is likely to be one outcome of this module it is not a key focus. The module has been designed to capture the financial perspective of Strategic thinking that underlies management decision-making. The module will include macro and micro focuses for decision-making, as well as considering the necessary adjustments for the risky environments in which mangers operate. The Business skills and Personal Development programme provides a firm foundation for continuing managerial development within your chosen career. The programme will help you enhance your business skills, define your career goals and create a personalised career action plan. It also offers you the opportunity to acquire life-skills to attain the jobs that are relevant to your career plan immediately after graduation and in the future. In this module the nature of entrepreneurship and the importance of entrepreneurship for the vitality of a national economy with specific emphasis on the UK and European context will be discussed. This module is hands-on in nature and the focus is on experiential learning. Through a simulation game, students gain an understanding of the complexity of initiating a business, the array of decisions that are required based on incomplete information, and the dynamic and competitive nature of the marketplace in which new products and services are introduced. Using simulation as an educational tool, students engage in entrepreneurial core activities: Identifying and exploiting market opportunities. Much attention will be paid to the concept of business models, the search for an appropriate business model and the validation of business models. This module also features voices from the world of entrepreneurship, i.e. entrepreneurs that speak to students in class and interaction with entrepreneurs through visits to start-ups. A critical aspect of any entrepreneurial activity is the acquisition of resources, primarily financial and human resources. Different alternative funding mechanisms will be discussed. In addition, various strategies will be highlighted to profit from an innovation created by entrepreneurs. Further, we discuss the internationalisation aspects of entrepreneurship, and strategies to internationalize new ventures. Finally, the module stresses that entrepreneurial activity may not only occur through individual efforts by entrepreneurs, but may also occur in existing corporate settings. This module provides the opportunity for students to diagnose and investigate a complex business issue, to locate the work within the body of contemporary knowledge, to collect and analyse data, to derive supportable conclusions and to make practical and actionable recommendations. There are three options for the business report: consultancy report (problem), analyst report (company or sector overview), and entrepreneur's report (business plan). The applied nature of the report requires a critical evaluative approach, empirical investigation and analysis and a combination of business report writing skills. It requires reflection on the implications for business from an ethical, professional and continuous professional development standpoint, including an account of what has been learned during the project and how this can be applied in the future. The programme involves a taught and a project component. The taught programme is assessed by a mixture of coursework assignments throughout the year, as well as online tests, evaluation of contributions to discussions, presentation and group work. the international dimension, including political risk and contemporary processes of regionalisation, emerging markets, global governance and globalisation. ethical and value management, applying ethical and organisational values to situations and choices. We maintain close links with the corporate world and are committed to giving our students wide-ranging experiences across the spectrum of small, medium and large organisations in both the private and public sectors. Corporates have direct access to our students through our case study programmes, internships, consultancies, guest lectures and executive in-residence sessions. Our effective corporate relationships guarantee you valuable exposure to the business world and provide organisations with the opportunity to work with and recruit talented future leaders. We provide you with recruitment events, such as corporate presentations and on-campus interviews, actively supported by a robust platform of career-focused skills development throughout the programme. The Business Start-up week is an opportunity for students to further enhance their understanding of the various systems required to create a successful start-up. There is a focus on team unity and collaboration; this synergetic culture is often attributed to both start-up and organisational success. During the Business Start-Up week students discuss ideas’ generation, creating content, start-up finance, fin-tech and investing in innovation, and finish by pitching their ideas to established entrepreneurs. The Kent MBA programme is accredited by The Association of MBAs (AMBA), the international impartial authority on postgraduate business education. An accreditation with AMBA is a global standard for MBA programmes worldwide. In addition, the Kent MBA is accredited by the Chartered Management Institute (CMI), giving you the opportunity to gain, alongside your MBA, the CMI Level 7 Diploma in Strategic Management & Leadership on the successful completion of your studies. The CMI is committed to excellence in management and leadership and the CMI qualification is highly sought after by employers. Kent Business School is a member of the European Foundation for Management Development (EFMD) and the Chartered Association of Business Schools (CABS); and the Kent MBA is an Association of MBAs (AMBA) accredited programme. KBS is a signatory of the United Nation's Principles for Responsible Management Education (PRME), which provides a global network for academic institutions to advance corporate sustainability and social responsibility. 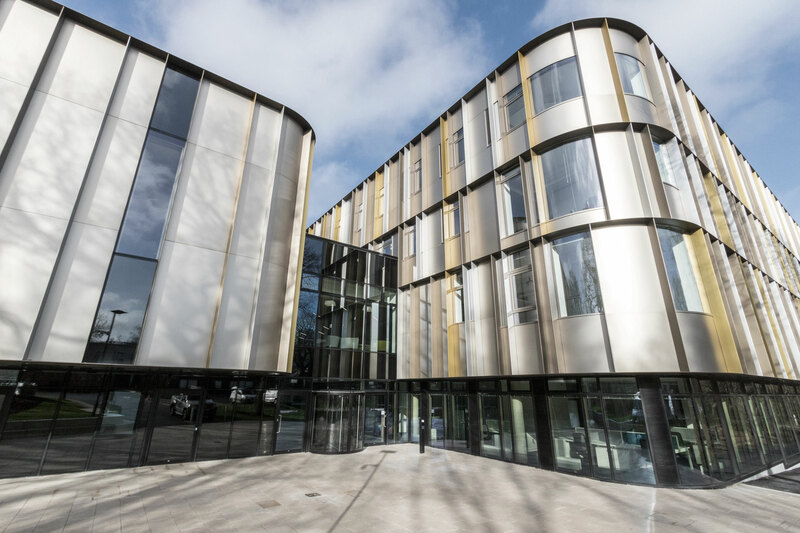 Kent Business School occupies the RIBA award winning building ‘Sibson’, a vibrant new campus destination. The state-of-the-art building offers a dedicated MBA suite and ASPIRE Lab Space, as well as IT suites, academic and research workspaces, three lecture theatres and social learning space, which encapsulate the School’s academic values and identity. Each postgraduate student is assigned a specific member of academic staff who acts as your first point of contact throughout your studies. There is a lively postgraduate community at the School, with plenty of space to relax and interact with your fellow students and our academic staff. Kent’s libraries offer over a million books, periodicals and journals, as well as subject-specific librarians to help you find the information you need. We also offer excellent teaching facilities with tailor-made specialist resources and access to a range of software packages used in quantitative analysis and finance. Kent Business School has more than 60 internationally recognised academics from 22 different countries. Most of our teaching faculty are involved with researching the latest issues in business and management, working with organisations to provide new insight for business leaders and policymakers. Their knowledge and findings feed into the programmes to ensure they are both cutting-edge and globally relevant. Kent Business School has strong partnerships with leading academic institutions worldwide, including: Audencia Nantes School of Management (France), Hong Kong Baptist University, Universiti Teknologi Malaysia, University Carlo Cattaneo (Italy), University of Ingolstadt, Bayern (Germany), City University of Hong Kong, University of Hong Kong, Renmin University of China, School of Business, IE University (Spain), Neoma Business School (France), EBS University of Business and Law (Germany). Staff publish regularly and widely in journals, conference proceedings and books. Among others, they have recently contributed to: Journal of International Financial Markets, Institutions and Money; International Journal of Finance & Economics; Journal of Banking and Finance; European Journal of Operational Research; Review of Quantitative Finance and Accounting; Journal of Economic Dynamics and Control; European Journal of Finance; Journal of Asset Management; International Review of Financial Analysis. Students who wish to apply for a higher degree should have a good honours degree from the UK (minimum 2:2) or equivalent internationally recognised qualification. Exceptions will be considered for senior managers with more than ten years’ managerial work experience. Students must hold a minimum of three years’ full time postgraduate managerial work experience which could be from the private, public or third sector. An individual interview with the Programme Director will form part of the selection process. All applicants are considered on an individual basis and additional qualifications, and professional qualifications and experience will also be taken into account during the application process. Our Accounting group has an international reputation for its research on public sector critical accounting and accounting history. Recent topics include privatisation, health and new public management. The Finance group addresses academically interesting and practical contemporary issues in finance and banking. Staff pursue research in several areas, including: derivatives pricing and risk management; financial econometrics; international banking; financial regulation; corporate finance; asset pricing and real-estate modelling. Our Management Science group covers a wide range of research areas in Operational Research and Systems Thinking. These include research in the area of logistics including green logistics and network security with a special emphasis on the innovative design and analysis of heuristic and exact optimisation, DEA, operation management, multi-variate analysis, biometrics, multi-methodology and Soft OR/Systems. The group is now a member of NATCOR. Research in our Marketing group cuts across four main domains including, marketing strategy and performance; product development and innovation; buyer behaviour; and the management of supply (value) chains and market delivery systems. Projects cover a wide range of themes ranging from the marketing department’s influence on organisational performance, determinants of marketing innovation, brand and product development success, and pricing, advertising and distribution effectiveness, to marketing information/decision-support systems utilisation, value co-creation by open innovation, and consumer evaluation and processing of product communications. Research in our People, Management and Organisation group examines themes in the areas of employment relations, human resource management, organisational behaviour and leadership. The group covers a wide range of research, including employment relationships, the role of social partners, the effects of skills, technology and culture on the world of work, employee engagement, and the role of leadership. Research in our Strategy and International Business group focuses on strategic alliances, non-market strategies, performance management, business in emerging economies, international strategy, management of multinational enterprises and corporate social responsibility. For further information see the Kent Business School website. Sustainability Research in Business Practice and CSR; Lifecycle Assessments; Environmental Modelling and Scenario Developments; Supply Chains Management; Procurement; Sustainable Frameworks and Resource Accounting; Climate Change Policy and Mitigation; Development of Decision Support Tools; Sustainable and Renewable Energy Systems. Multinationals; foreign direct investment; culture; cultural distance; performance; political and civil liberties; roles of subsidiaries; technology. Main teaching interest is in Financial Accounting, relating the theory learnt in the classroom to the application of those theories within the commercial world. Users and New Forms of Innovation. Professor Flowers has undertaken projects for the OECD, Tekes, the European Commission and the Institutet for Tllvaxtpolitiska Studier, Stockholm. Human Resource Strategy and its impact on employee attitudes, individual career trajectories and HRM practices in new ventures. Integer programming; heuristic algorithms; facility location; biodiversity conservation; natural resource management; fish passage; species distribution modelling; climate change impacts; nature reserve selection. Operations and Information Management, the strategic use of Information Systems for process improvements and sustainability within organisations and supply chains. Financial management; The role of management accounting in decision making; Structures of corporate finance; Financial markets. Mathematical modelling; network and combinatorial optimisation; location analysis; infrastructure protection planning; supply chain reliability. 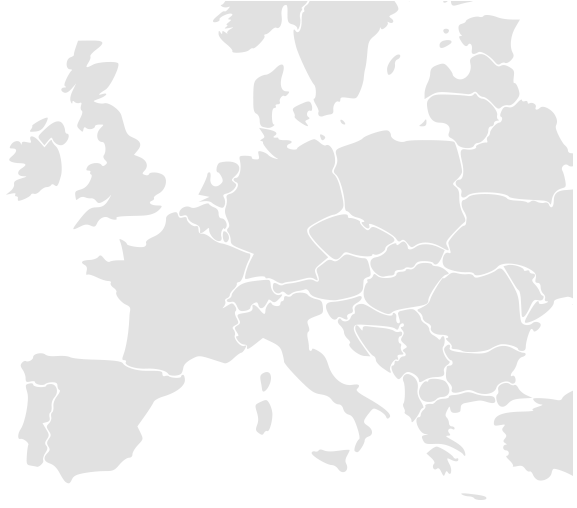 Strategic management, international business management, European integration, corporate financing in Central and Eastern Europe, equity culture development and financial institutions. Responsible and effective business decision-making aiming to generate lessons for better management practices and public policy actions. I work in the banking industry and the fact that I’ve coped with an MBA definitely makes me more attractive to potential employers.